Stop us if you've heard this one before, but another major Batman Vs. Superman: Dawn of Justice rumor has hit the Internet. 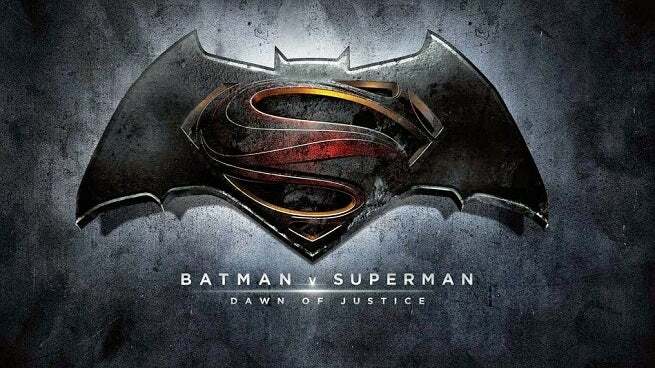 According to a leaked images, Batman V. Superman might split into two separate films. The rumor comes from a snapshot, taken from what is supposedly Batman V. Superman’s teaser trailer. 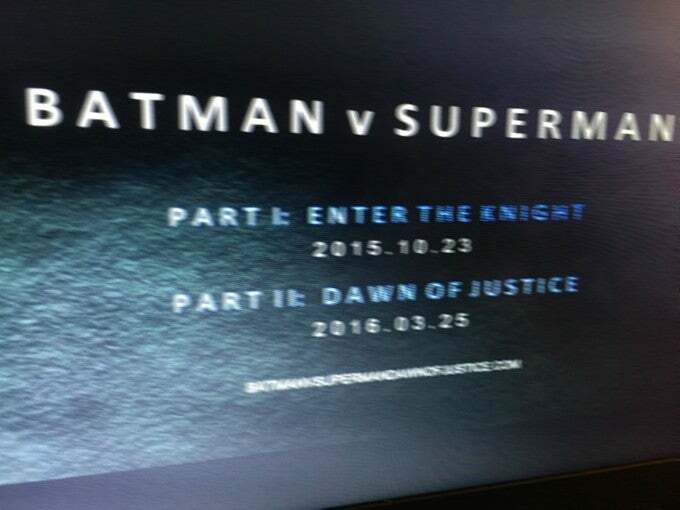 The image states that Batman V. Superman’s first half would be titled “Enter The Knight,” and would land in theaters this October 23rd, while the second half would keep the “Dawn of Justice” surname and March 2016 release date. Of course, this is the Internet. Anyone with a computer could have created and distributed the image. But before writing the rumor off completely, it is worth noting that Dawn of Justice is said to be a massive film, with more than 10 month’s worth of shooting behind it. And as Aint It Cool News notes, Warner Bros. is prioritizing Batman’s introduction to the their DC Cinematic Universe. “Enter The Knight” would facilitate that, saving the epic clash with Superman in "Dawn of Justice." But if this rumor is true, that means Warner Bros. would have to finish post production efforts (or a major portion of them) five months ahead of the film's release date. With the official teaser trailer to Batman V. Superman: Dawn of Justice heavily rumored to be attached to Jupiter Ascending on February 6th, official confirmation-or—denial—will come soon.